Iran’s Polo Federation is determined to ask the opinion of Iranian President about the changing of the usage of historical square of Naqsh-e Jahan in Isfahan into a polo field. Tehran, 29 October 2007 (CHN) – Iran’s Polo Federation is going to ask the approval of Iranian President on the day of celebrating Naqsh-e Jahan square in Isfahan about changing the usage of this square into a polo field in an attempt to revive the historic background of the square. 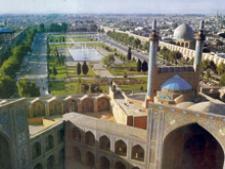 Tourism experts believe that changing the Naqsh-e Jahan Square into a polo field will boost the tourism industry of city of Isfahan. Deputy director of Polo Federation further explained about allocating 20 hectares land in Isfahan’s sport complex to the Polo Federation. 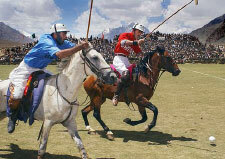 With holding this polo race, Naqsh-e Jahan historic square will host polo races after a 70-year-old interruption. “Most probably the race will be held on the inauguration day, 10th of November or 14th November,” added Heidari. Earlier to this director of Polo Federation announced that bringing the project for changing the usage of Naqsh-e Jahan Square into force requires the coordination between different organizations and expert studies. “We will do our best to revive this invaluable cultural heritage,” said Hamzeh Ilkhanizadeh. World heritage site of Naqsh-e Jahan historic square in Isfahan is one of the most attractive squares in the world which dates back to Safavid dynastic era (1501-1736 AD). At that time it was a garden located at the same place, which was expanded and became a huge square as well as a polo field and a ceremonial ground. The stone pillars at the south and north part of the square show the origin place of the polo goal. The size of the square is 510 meters in 165 meters.